I've always wanted to blog about this but I am too busy (really?). I believe that most people will like Daiso, me too! However, not every things in Daiso is worth that 5 bucks from your wallet. 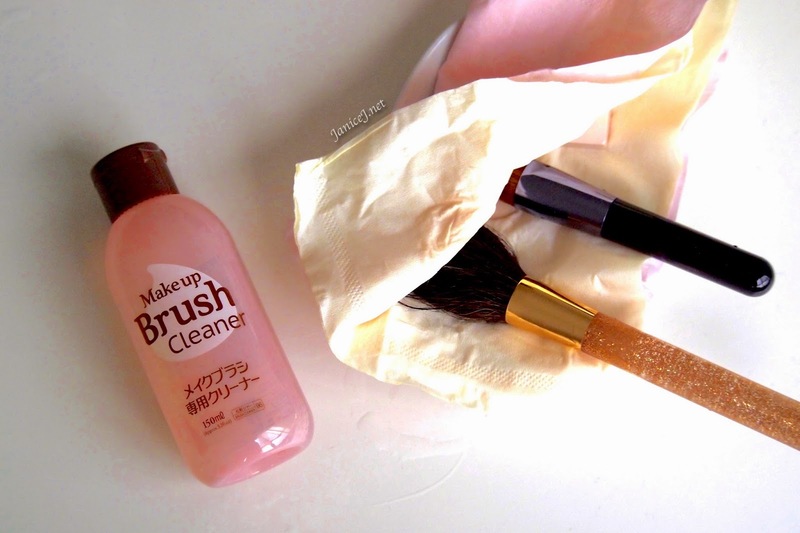 For beauty junkies out there, the Makeup Brush Cleaner and Puff Cleaner is my must buy from Daiso. As usual, I discovered the products online from Weibo. It has been a hit around for quite some time. I managed to locate the products from Daiso Pavillion. 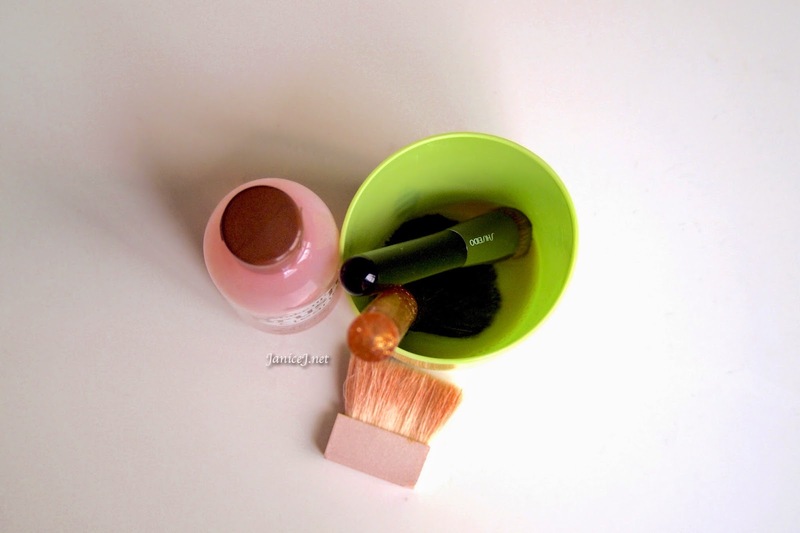 I seldom use brushes for my makeup therefore washing brushes is not things that I do regularly. 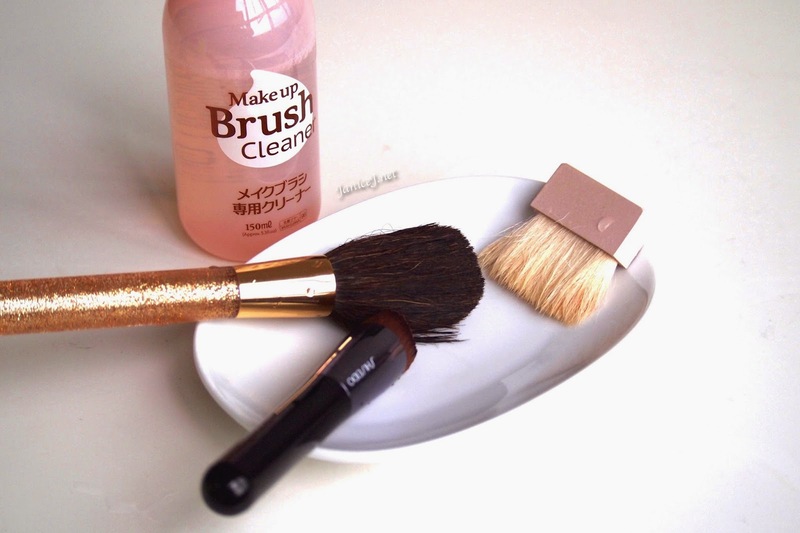 However, it is better for wash your brushes at least once a month. 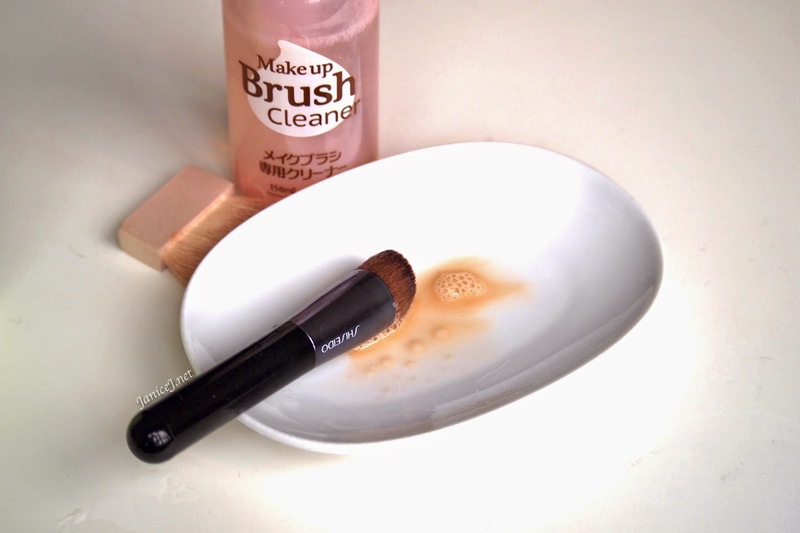 Other than this, it is better to wash/ wipe your brush every time before you use it with a non-rinsable makeup brush cleaner or alcohol swaps. The 150ml bottle is made from plastic. It is quite squeezable so it is easier to dispense the liquid out of the bottle with one hand. The design is rather simple, in transparent orangey pink colour. The liquid inside is runny, water alike. It does not contain strong smells. 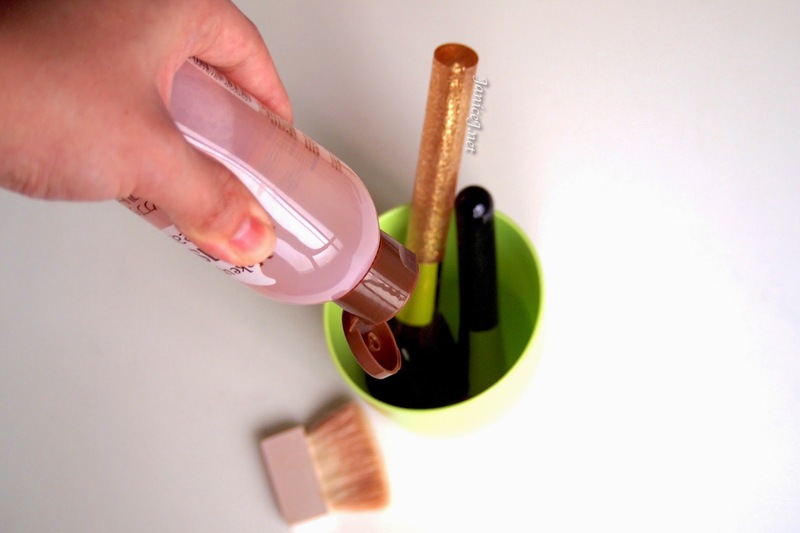 To use the product (wash your brushes), you will need a cup/ container, brushes, the Makeup Brush Cleaner and tissue paper. 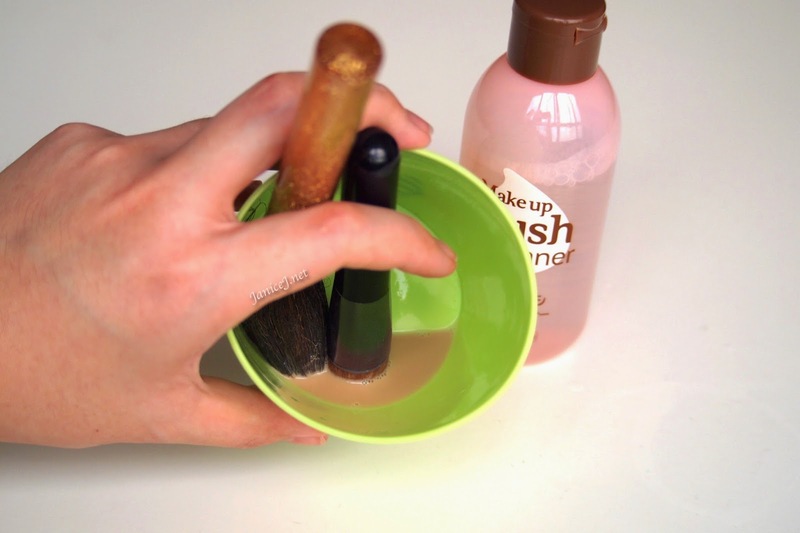 Put your brushes in a container, cover your brushes with makeup cleaner. Soak brushes in the solution for awhile, while stirring it. Notice that the solution turned dirty. Repeat a few times. Wash it under running water and tap it on flat surface until there is no more residue. Off with your clean brushes! Pat dry and leave them air dry on tissue overnight. 2. Might be too harsh for natural animal hair brush. I will definitely recommend this products to people around me! However, I heard that it is too harsh for brush with natural animal hair. It is not available in all Daiso, sadly. Try to look for it in Daiso Pavillion, KLCC. I am not sure where else can you find it. All of all, it is a real great deal for RM5. 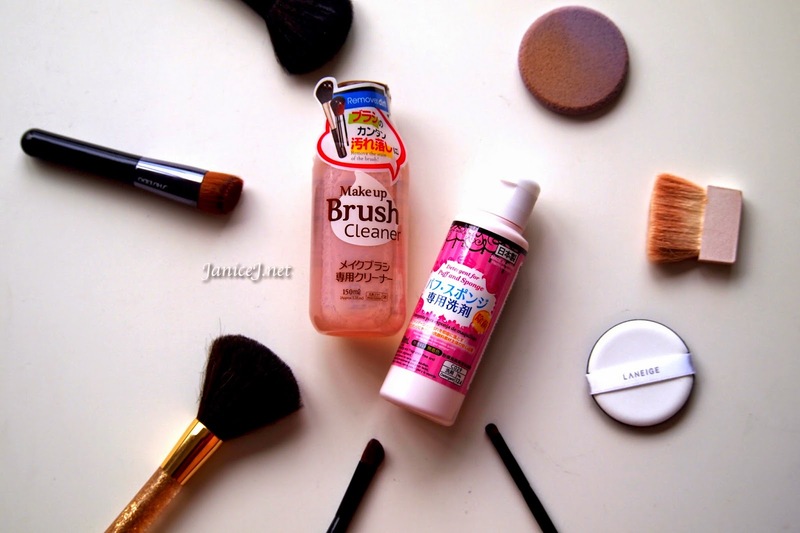 I will review the makeup puff and sponge cleaner in my other post! 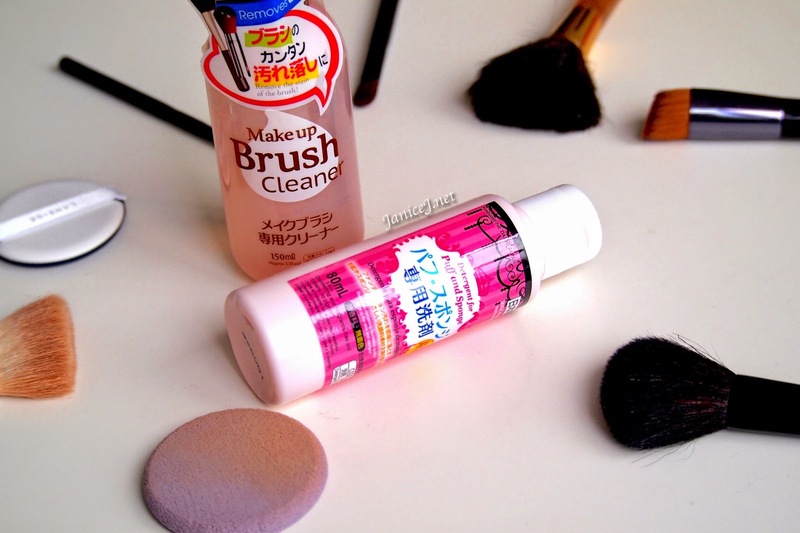 Have you tried the Daiso Makeup Brush Cleaner? or let me know if there are any Daiso products that you would recommend in the comment box below! Loves.